ST. PETERSBURG, Fla. -- A Pinellas County dad is on a mission to make sure all kids with autism know how to swim. Wednesday, a 4-and-a-half-year-old Tampa boy drowned in a retention pond at a South Tampa apartment complex. David Sikes’ mother told officers her son unlocked the door at their Clipper Bay apartment while she was taking a nap. Children with autism are 150% more likely to drown and that’s why Matt Wiseman started the Pinellas Autism Project. 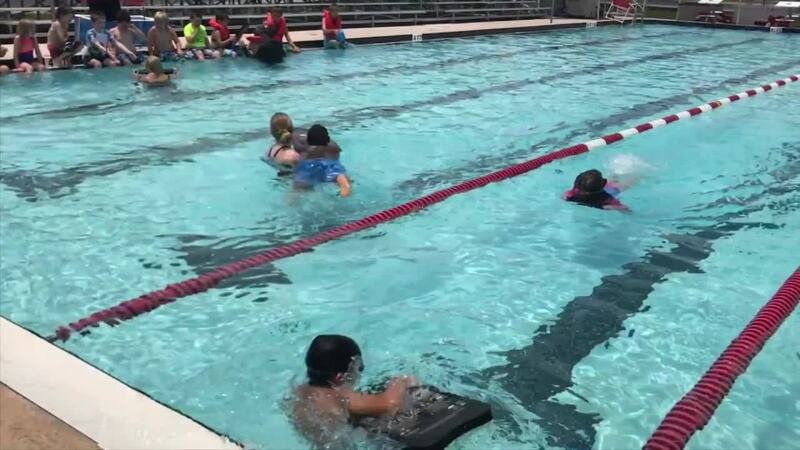 The summer camp is in its second year and has helped nearly 100 kids in Pinellas County learn how to swim. Wiseman’s son has autism and as a dad, he’s learned first hand how incredibly dangerous water can be and how attracted his son is to it. “It absolutely breaks my heart to hear of another local child with autism drowning because I know that could have been my son,” Wiseman said. His son, Ben, nearly drowned one summer when he walked into a pool. Luckily, Wiseman was there to save him. Once a week, during the summer months, he brings children with autism to a pool to learn how to swim, pull themselves out of the water and how to float. “It’s made a huge difference with these kids. I know it’s saving lives,” he explained. The YMCA plans to start a similar camp for kids with disabilities on June 11th to teach them how to swim. The city of St. Pete also started a similar camp called Camp Redbird. Wiseman encourages parents of kids with autism to teach their kids how to swim, even if your child does not often go to the pool. “Kids with autism are attracted to water, so that’s why it’s so important we show them how to protect themselves around it,” he said. To learn more about the Pinellas Autism Project you can click here. To learn more about the YMCA's autism camp, click here. To learn more about Camp Redbird in St. Pete, click here.